On November 20, 2018, the Serbian Qigong Association officially became a member of the Serbian Association of Sport for All. Since its establishment in 2012, the Serbian Qigong Association has actively contacted the Chinese Embassy in Serbia and the local government departments. Under their guidance, the Serbian Qigong Association has actively promoted through the publicity platforms such as the Confucius Institute, the National Television, Radio and Professional Medical Association, and has achieved new results every year. This year, with the support of the Chinese Health Qigong Association and the Belgrade Medical Association, the first Central and Eastern European Health Qigong Forum was held in the City Hall. The Health Qigong enthusiasts were from Serbia, Bulgaria, Croatia, Estonia and other Central and Eastern European countries, as well as Spain, Russia and even Brazil. 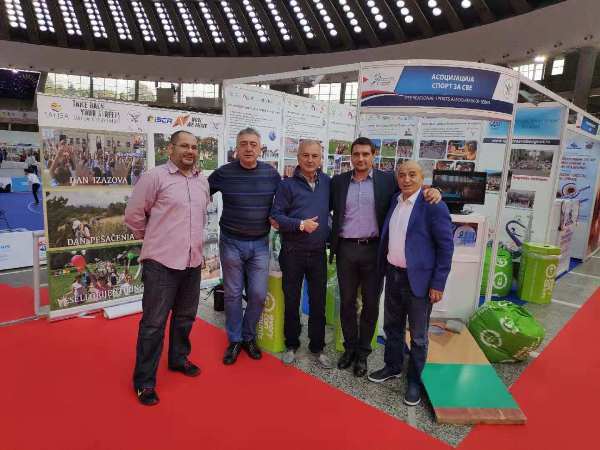 The Serbian Association of Sport for All is the Serbian Sports Association and admitted by the Serbian Ministry of Sports, which houses all the sports and non-Olympic sports that are carried out in the country.